New Delhi: Italy's Generali Group will raise its stake in Indian insurance joint ventures -- Future Generali India Life Insurance Company and Future Generali India Insurance Company -- to 49 percent from 25.5 percent at present. In a regulatory filing, Kishore Biyani-led Future Enterprises said it has entered into amended and restated joint venture agreements pertaining to its insurance JVs with Generali Group. 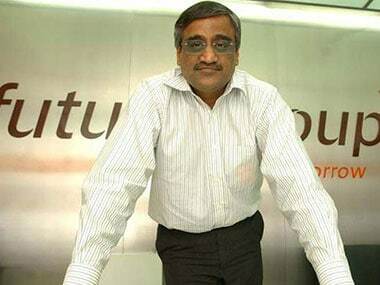 File image of Kishore Biyani, Founder and CEO, Future Group. PTI. Future Enterprises said the purpose of entering into the agreement is "to increase Generali's stake in insurance ventures...to 49 percent from present 25.5 percent subject to necessary regulatory and statutory approvals." In a joint statement, Generali Group said the agreement to increase its stake in the India insurance joint ventures "underscores its commitment to growing its presence in the local insurance market". "Through this transaction Generali has committed up to approximately Euro 120 million (approx Rs 958.79 crore) to the partnership which will continue to leverage the far-reaching distribution network of Future Group, a unique platform and customer ecosystem to offer insurance protection solutions within India with a focus on digital," it added. Generali said the partnership with Future Group currently generates gross written premiums of Euro 375 million (approx Rs 2,996 crore). The transaction is expected to close during the second half of 2018 subject to regulatory approval and customary closing conditions. A number of foreign players, including French insurance giant Axa, Standard Life, Canada's Sun Life Assurance Company and Japanese Nippon, have raised their stake in their respective insurance JVs in India after the government allowed 49 percent FDI in the sector in 2015.